WELLINGTON, Fla., March 30, 2017 /PRNewswire/ — Luxury real estate auction firm Platinum Luxury Auctions has announced its second offering in Wellington, Florida for 2017. Following its February sale of a 10-acre estate in the city’s Las Palmas subdivision – the firm’s fourth consecutive auction sale in Wellington – Platinum is now offering a 5.5-acre equestrian estate located in the coveted Palm Beach Point community at a live auction on April 21st. Although recently offered for $5 million, the property will now be sold to the highest bidder who exceeds the auction’s reserve price of only $2 million. Platinum is conducting the auction in tandem with the property’s listing agent, Kristina Gustafson of Southfields Real Estate Inc. in Wellington. Ms. Gustafson is also the property owner. David Enriquez, Platinum’s vice president of operations, stated that Gustafson hired Platinum for the sale of her personal horse property after becoming a believer in the auction process by watching her father participate as a bidder at the firm’s first Wellington auction in the winter of 2013 – the sale of Two Swans Farm for nearly $7 million. In addition to applauding the auction’s price, she was impressed that it lured her father’s interest (although he was not the winning bidder). The property offers 5.5 acres of manicured grounds within Wellington’s prestigious Palm Beach Point community, a location that allows for a relatively modest hack to the Palm Beach International Equestrian Center, the host venue of the world-famous Winter Equestrian Festival, or “WEF.” The minimum parcel size within the community is 5 acres, preventing crowded development and allowing for plenty of space for the residents and their horses to enjoy the neighborhood’s miles of riding trails. Built in 2000, the property features a 5,400-sf residence offering 4 bedrooms and 4 full baths. There is also an enclosed pool, bar, and an oversized master suite with a private veranda. The grounds include a 12-stall barn (which has its own full bath), 7 paddocks, and a 130-ft by 210-ft riding arena with new footing. The property parcel was carefully designed in order to position its main structures – the residence, barn and arena – within comfortable proximity of one another while still allowing for a welcomed buffer between the residential and horse farm areas. This creates a serene environment for both homeowner and horse. Wellington, Florida has a well-established reputation as one of the world’s most prominent equestrian marketplaces. Its annual Winter Equestrian Festival is the world’s longest-running horse show and competition. 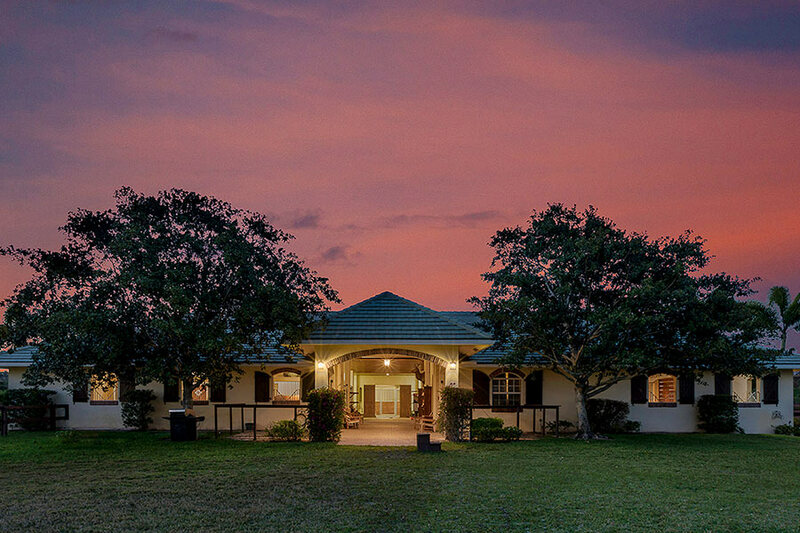 The event draws the Who’s Who of the equestrian world to western Palm Beach County each year, many of whom lease or purchase property in Wellington. The city boasts residents such as Bill Gates, Tommy Lee Jones, Bruce Springsteen, Frank McCourt and billionaire media mogul John Malone. The property is available for previews between the hours of 12 and 4pm (EDT) every Friday through Monday, until the auction. Additional information is available at EquestrianLuxuryAuction.com, or by calling Platinum’s offices at 800.925.8231. 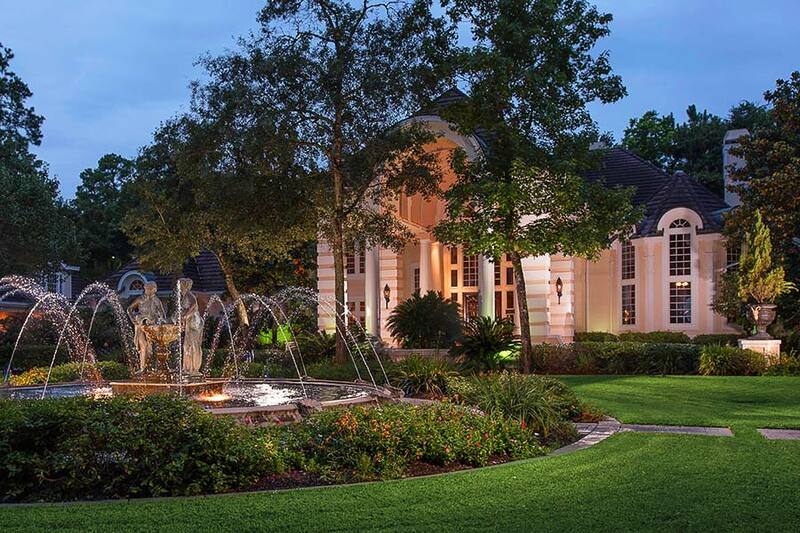 A longtime fixture of the Houston area’s political and social scenes has hired veteran luxury real estate auction firm Platinum Luxury Auctions for the sale of her multimillion-dollar residence. Nelda Luce Blair, a prominent attorney who is known for her frequent appearances on television shows and her active involvement in politics, is offering the home she owns with husband Jim Blair at a live auction, to be held on April 8, 2017. Located in the Village of Grogan’s Mill in The Woodlands, Texas, the estate was recently listed for sale for $6.1 million, but will now be sold to the highest bidder who meets or exceeds the auction’s reserve bid of only $2 million. Platinum is managing the sale in cooperation with listing agent Nina Marino and the Nina Marino Team of Keller Williams Luxury Homes International in The Woodlands. The Blairs have lived at the property for nearly fifteen years, and during that time have held countless social and political events there – some hosting hundreds of guests at a time. In fact, the estate has earned the nickname “Blair House” locally, a play on the owners’ last name and the nickname given to the President’s Guest House in Washington, DC. Mrs. Blair, a former prosecutor who now focuses on legal consulting and transactional work, spent years appearing as an expert guest on television shows hosted on networks such as FOXNews, CNN, MSNBC, CourtTV, and others. She has elected to sell the home at auction after being frustrated with the traditional sales process. The Blairs have already purchased another home in the area. The main residence offers more than 12,000 sf of interiors and three living levels, with 5 bedrooms, 5 full and 4 half baths. A guesthouse and pool cabana combine to add another 900 sf of living space, 1 bedroom and 2 full baths. While the residence boasts elegant features such as a palatial foyer with dual staircases and a two-story grand salon, it also offers a very livable floor plan that has suited its owners well for both family functions and for entertaining in grand fashion. Prominent features include a two-story executive study with handsome wood finishes, elevator, gourmet kitchen, fitness center, home theater, and hidden wine room. Outdoor living areas feature a poolside balcony and loggia, sprawling pool deck and a covered summer kitchen. The estate’s oversized pool was designed by Robert E. Forsythe, and includes a spa and numerous water features. Throughout the five lushly landscaped acres, charming features such as gently winding walking paths, elegant fountains, wrought-iron gazebos, and an elevated trellis collectively create an “enchanted garden” atmosphere of privacy and serenity. Beginning March 17th, the property will be available for previews between the hours of 12 and 4pm (CST) daily, until the auction. Additional information is available at WoodlandsLuxuryAuction.com, or by calling Platinum’s offices at 800.925.8231.